I've recently received a bunch of ESXi 5.0 related questions. I had really figured most readers were trying to get VMware certified, or already VMware Certified, and naturally, also trying to get an affordable home lab going. But it appears some of the visitors are merely trying to reduce the number of machines they leave running in home, such as for home automation. With the enhanced USB handling, and broader compatibility that ESXi 5.0 now has since August release, this sort of use is becoming much more a viable option. ...I'm very happy with the AsRock board and all seems to be going well. I took your advice using a USB stick and to my surprise that seems to be working great. I do have a couple of things that are puzzling me. 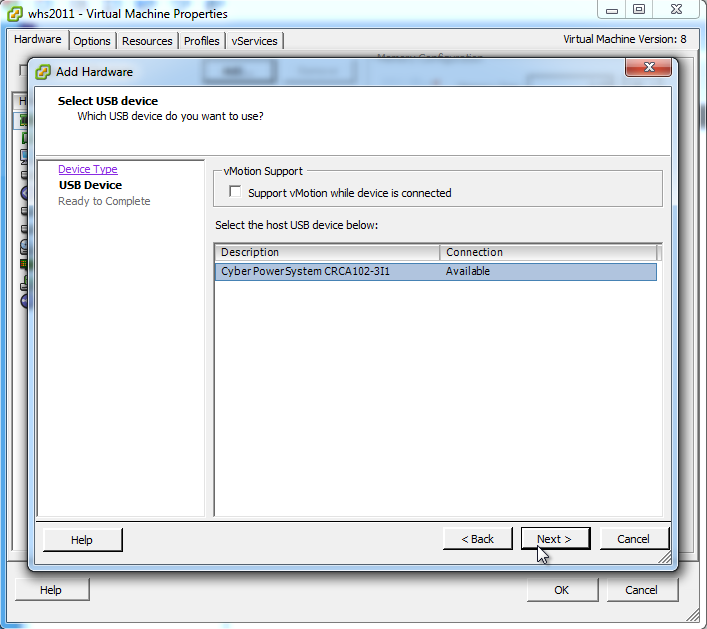 First, it was not clear to me how to clone the VM to another machine. More specifically, I was not sure which of their 400 versions of software to use. Lastly, have you had any luck with sound from a VM? Did you end up having to use a USB device? Anyway, having fun with this and looks like it will be a great solution for me in eliminating at least two machines for now. Thanks again. I do plan to blog about this soon...Cloning (and moving from one drive to another, called Storage vMotion, can be done even when VM is running!) will be available once you get vCenter installed. Then you login to your datacenter with the vSphere client, putting in the name or IP of the vCenter appliance, instead of ESXi 5.0 that you login to now. Or just use Remote Desktop Connection and get basic sound support from there. I also noticed a full install of VMware Tools into the virtual machine gets some sound options, haven’t played with that yet or even researched it yet, will have to look more into that, meanwhile, check this post out as well. but that gets confusing fast (ESXi boot screens seen on planar VGA, then added graphics cards put out a VM’s DVI/HDMI video). I tried this briefly once, went into some wormhole/rabbit hole hybrid, but it didn’t work (but I didn’t care too much either, although having access to GPU stuff in a VM for video rendering would be an interesting future project, using Intel® Quick Sync Video, Intel's built-in hardware acceleration for Sandy Bridge Z68 mobos). You can assign a USB 2.0 port to a virtual machine, and install things like Grid Junction, APC PowerChute, or CyberPower Panel from there, as seen in this walkthru video I just created below.